In the coming years, everything that we know about market­ing and advert­ising will be chal­lenged. New tech­no­lo­gies, changes in consumer beha­viour, and the rise of intel­li­gent personal assist­ants will make-or-break brands, organ­isa­tions, and marketers. As prac­ti­tion­ers, we’ll need to change how we think, and start prepar­ing now. Here’s why. 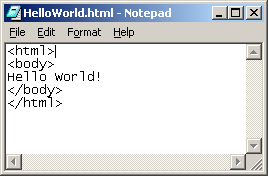 Once upon a time, we built and managed websites simply by writ­ing HTML source code into a note­pad file and upload­ing our files to a server. In the hazy mists of 2003 – still the era of ‘webmas­ter’ – many of us were still using products like Microsoft Front­page and Adobe Dream­weaver to directly edit the code and content of our websites. But as the inter­net matured, busi­nesses deman­ded more flex­ib­il­ity and more soph­ist­ic­ated market­ing tools. To connect with and sell to consumers, websites, content and digital chan­nels needed to be easier for busi­nesses and marketers to use and manip­u­late. So we intro­duced abstrac­tion into the process. We put systems and inter­me­di­ary layers in between us and the raw code. We moved content into data­bases so that people could edit pages in content manage­ment systems, without having to touch the under­ly­ing script. We broke our code into many small parts and built logic to determ­ine how differ­ent templates and scen­arios should behave for differ­ent requests and URLs – rather than main­tain­ing files for indi­vidual HTML pages. This chan­ging approach made websites more complic­ated, and more soph­ist­ic­ated. The web pres­ence of many busi­nesses star­ted to become more react­ive and to better answer to the needs of consumers – support­ing dynamic content, accounts, person­al­isa­tion, and more diverse exper­i­ences. They star­ted to answer much more effect­ively to the demands of both busi­nesses and consumers. But in many cases, it was too little, too late. By the time 2008 arrived, the mobile app revolu­tion was well under­way. Mobile exper­i­ences offered a degree of person­al­isa­tion, fluid­ity and persist­ence which many websites had failed to achieve. They frequently offered better exper­i­ences than websites, because they knew who I was, saved my data, and offered designed-for-purpose exper­i­ences which normal websites struggled to compete with. Native apps bypassed many of the devel­op­ment chal­lenges around cross-browser support, respons­ive­ness, and inter­activ­ity which websites often struggled – and still struggle – with. Whilst web browsers were still clunky and hard to work with, apps allowed for designed-for-purpose exper­i­ences which just felt better. 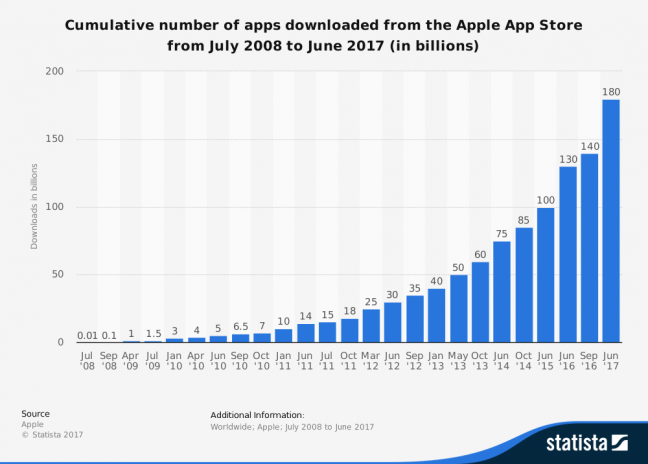 Unsur­pris­ingly, this meant that consumers flocked to, and frequently preferred the kinds of fluid exper­i­ences which apps delivered, whilst most websites felt increas­ingly unre­spons­ive and static in compar­ison. So, it’s no surprise that, around the same time, JavaS­cript librar­ies like jQuery began to rise to prom­in­ence in the web devel­op­ment community. They offered a quick, easy, and power­ful way to over­come cross-browser head­aches, and to add inter­activ­ity and anim­a­tion. This empowered even rookie developers to build func­tion­al­ity which felt more ‘app-like’ than the kinds of static websites we were used to seeing at the time. Hundreds of thou­sands of websites adop­ted jQuery and similar librar­ies in an attempt to try and level the play­ing field. Overnight, in the web 2.0 revolu­tion, the web became more inter­act­ive. The exper­i­ences and inter­activ­ity which we’d grown to expect from the app ecosys­tem became much more common­place. Except, this power and flex­ib­il­ity came at a cost. jQuery, and solu­tions like it, have to “bolt on” to websites to add func­tion­al­ity. It takes time and browser resources to load the library, and then more time to process and execute any JavaS­cript writ­ten on top of it. These kinds of librar­ies also typic­ally ship as a single, large file, which contains the entire library – so even if all I need is a simple func­tion (say, to be able to easily toggle the visib­il­ity of an element via a button click), I’ve still got to load the whole thing. That’s a lot of over­head. So whilst using jQuery as a stick­ing plaster went some way to fixing the present­a­tion and inter­activ­ity of the web, it made the whole thing much slower. 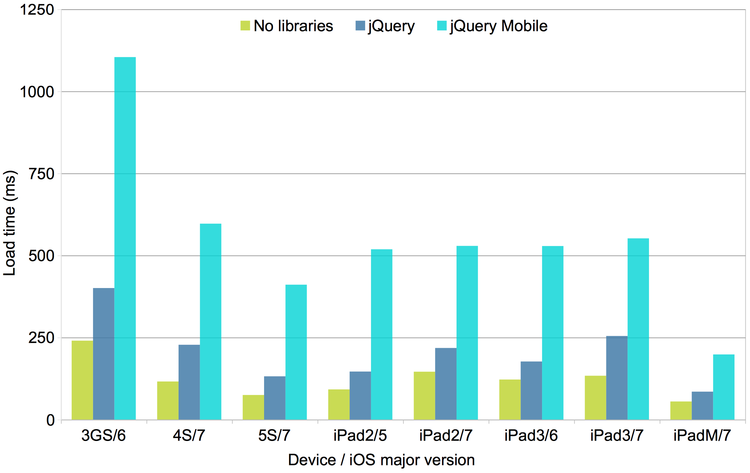 jQuery, in partic­u­lar, gained a repu­ta­tion for allow­ing rookie developers to make the web even worse and widened the quality/​experience distance between websites and the apps they were trying to compete with. It’s for this reason that many developers and organ­isa­tions went back to the draw­ing board, and developed new approaches – approaches designed to help build websites which behaved more like apps. 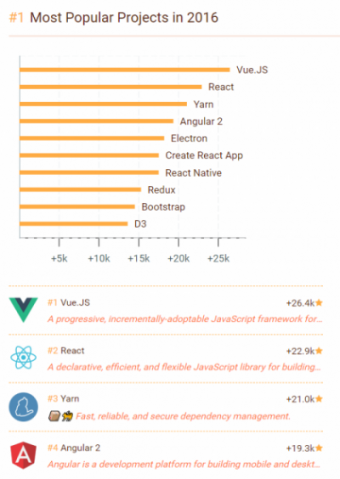 Google’s Angu­larJs (now simply ‘Angu­lar’) and Facebook’s React frame­works – and more recently VueJS – rose to prom­in­ence in this revolu­tion. These librar­ies and frame­works are the go-to solu­tions for devel­op­ing the kinds of ‘single page apps’ which the SEO community is becom­ing increas­ingly famil­iar with. Their differ­ent approach to managing compon­ents, page and states makes them well-suited to devel­op­ing ‘apps as websites’, rather than ‘websites which try to act like apps’. So it’s no surprise that these frame­works power some of the world’s biggest and most success­ful websites – the likes of YouTube and PayPal (Angu­larJS), or Netflix, The New York Times and AirBNB (React). And what’s notable about these websites, in partic­u­lar, is that they feel unar­gu­ably more like apps than websites. Where most websites are typic­ally either inform­a­tional (blogs, affil­i­ate sites and lead generation/​brochureware sites) or trans­ac­tional (ecom­merce sites), we can categor­ise these examples differ­ently – they’re plat­forms, not just websites. They’re destin­a­tions for consumers who want to browse, inter­act, update, and manage their exper­i­ences in a way which doesn’t exist on most websites. This dysfunc­tion (where websites are frequently a bit naff, vs plat­forms, which are gener­ally where consumers want to be and what they want to exper­i­ence) is one of the biggest drivers behind the kinds of chan­ging consumer beha­viours, which we’re seeing more broadly through­out the industry. Because, brands typic­ally build websites, and they exist to provide a specific func­tion. They have web pages where you can read content, and click on links. They give you the inform­a­tion you want, but only when you seek it out. They enable you to purchase the product or to make an enquiry. These are all singu­lar tasks, which the website is expli­citly designed to allow you to complete, on demand. Websites are where you go to do the thing. And, because of these kinds of inter­ac­tions are typic­ally static, trans­ac­tional things, websites rarely provide a fluid, dynamic, inter­act­ive, person­al­ised process. The thing about these kinds of on-demand, trans­ac­tional exper­i­ences is that they’re only inter­est­ing when I want the thing they offer (or if I can be convinced that I want it). If I’m not inter­ested, there’s no incent­ive to visit and consume. With plat­forms, I visit to discover, without neces­sar­ily having a specific agenda in mind. That’s a very differ­ent type of exper­i­ence, with differ­ent expect­a­tions. And whilst brands and compan­ies can build plat­forms which behave in this way, they often struggle to do success­fully, as their conflict­ing object­ives of getting you to do the thing (e.g., buy the product) versus allow­ing you to do your own thing (e.g., look at some cat pictures) comprom­ises the qual­ity of both types of exper­i­ences. It’s because of this that I’ll never proact­ively choose to spend hours casu­ally brows­ing Argos’ furniture cata­logue pages – even if they add chat and social elements – whereas I might well choose to spend that time look­ing at my friends’ cat pictures on Face­book. You could argue that a large part of this differ­ence is based on the content in those envir­on­ments. I’m not inter­act­ing with Face­book in the same way as I might with Argos; I’m inter­act­ing with my peers and their content via Face­book as a medium. But there’s a strong distinc­tion between websites which are built by brands who are trying to get me to do-a-thing, and plat­forms built by organ­isa­tions which house the content I want to consume. And this is just the begin­ning. The tech­no­lo­gies which under­pin and enable these kinds of rich, app-like exper­i­ences will continue to mature. They’ll provide better exper­i­ences in compar­ison to brand websites. The gap will widen, consumer expect­a­tions with continue to rise, and most websites will feel increas­ingly clunky and trans­ac­tional in compar­ison. To pull consumers from plat­forms to websites, we advert­ise. 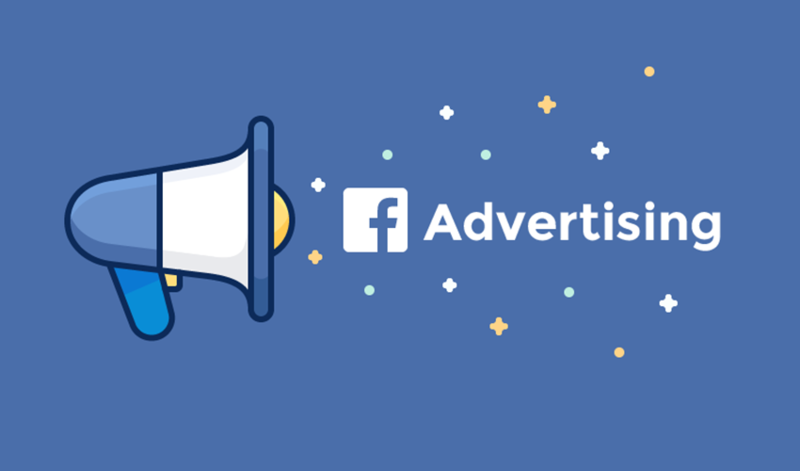 We run campaigns, invest in Google AdWords and Face­book Ads, strive to rank highly in organic search results, and put bill­boards on street corners. We find oppor­tun­it­ies to inter­rupt the media, content and exper­i­ences which consumers are enga­ging with. We buy clicks and eyeballs. To brands, plat­forms are market­places for consumers. Often, this is the heart of those plat­forms’ revenue models. They’re a magnet for users and a conduit to/​for advert­isers. They provide a discov­ery mech­an­ism for those advert­isers, who might other­wise struggle to attract consumers directly. Of course, the distinc­tion isn’t always that black-and-white. There are grey areas and cros­sov­ers. Some indus­tries, like publish­ing, some affil­i­ate models, and even search engines, often exhibit char­ac­ter­ist­ics of both websites and plat­forms; consumers may be pulled in multiple direc­tions to fuel a partic­u­lar advert­ising model. And how we might define some brand websites isn’t always clear, either. 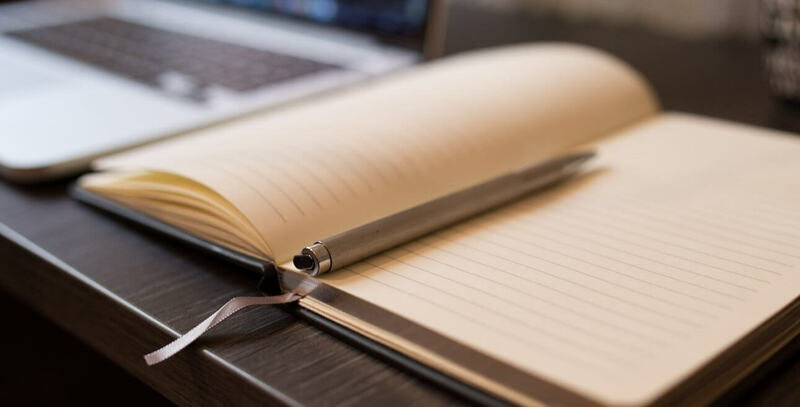 What about all of the time you’ve inves­ted in content market­ing; your rich edit­or­i­ally direc­ted blog posts, and top-of-funnel inform­a­tion which gives advice and support? Chances are that you’re trying to make part of your website feel and act like a plat­form – to pull visit­ors to your resources from places like Google or Face­book. But even if you attract millions of read­ers and buyers, you’re still paying to acquire this audi­ence (even via, say, ‘free traffic’ like that from organic search or social media) – and they’re still coming from plat­forms. At worst, then, your content market­ing is just another form of inter­rup­tion advert­ising. That’s not to say that your content isn’t neces­sar­ily good or useful, but rather, that you’re still stuck paying to move eyeballs from where people want to be, to your product/​service. At any minute, that traffic source might dry up. Or it might double in cost. Or the plat­form you’re buying it from might launch its own, compet­ing solu­tion. At best, your content market­ing is an invest­ment in brand recog­ni­tion and pref­er­ence – so that when consumers need your products or services, they remem­ber and trust you, and come to you directly (bypassing, and redu­cing your brand’s reli­ance on plat­forms). So the trend and ambi­tion for brands to aspire to become publish­ers isn’t enough – in the long-term, unless you become a plat­form, you’ll lose to one, where custom­ers get the content they want, where they already are. For most busi­nesses, though, that’s a radic­ally unreal­istic goal. The tech­no­lo­gical, logist­ical and commer­cial barri­ers to “becom­ing a plat­form” are unsur­pris­ingly insur­mount­able. This goes a long way to explain­ing why the plat­forms are winning – they control, albeit some­what indir­ectly, which brands win and lose, and define the rules of the game. To attract custom­ers, you must play in their ecosys­tem – whether it’s Google, Face­book, Twit­ter, or some­thing else entirely – you must pay to buy clicks and visits from plat­forms to your website and content. But here’s the good news – you can put your content on their plat­forms. For free. All of the major play­ers allow you to provide them with your edit­or­ial and ‘pull’ content, and they’ll serve it up in situ in a way which avoids all the awkward fric­tion of a user having to leave their comfort­able envir­on­ment. Face­book Instant Articles, Apple News, and more recently, AMP (Accel­er­ated Mobile Pages), allow users to read, research, and even purchase from a brand without ever leav­ing the plat­form they’re brows­ing. In many cases, these ‘in context’ exper­i­ences are better than the brand’s own. They’re certainly faster, gener­ally ‘cleaner’ in design and focus, and less ‘pushy’ when it comes to invas­ive ads and conver­sion mech­an­ics. This raises the ques­tion; if your users can find and engage with you in a way which they prefer, from within other plat­forms, why should they visit your website? Moreso, even, why would plat­forms afford them the oppor­tun­ity? This is a huge shift in online beha­viour, with huge implic­a­tions. Brands are ceding control of ‘their’ customer exper­i­ences and content, sacri­fi­cing owner­ship for in-plat­form discov­er­ab­il­ity. It’s import­ant that we don’t under­es­tim­ate the import­ance of this shift in the owner­ship of content, else we risk disastrous results. Many brands have approached AMP and similar frame­works simply as new chan­nels to add into their market­ing mixes; new store­fronts which just require extra think­ing and resource to optim­ise and main­tain. But there’s a deeper change under­way. This the tip of the iceberg, of a revolu­tion from an owned media model to a distrib­uted content model; a shift from websites publish­ing edit­or­ial and ‘pull’ content to attract consumers, to those consumers much more commonly encoun­ter­ing and enga­ging with that content in other envir­on­ments. And that stretches far beyond Google, Face­book and Apple. Your content, or your compet­it­ors’, is increas­ingly being discovered and consumed – and purchase decisions are being made – in envir­on­ments which you don’t control. Your ‘pull’ content is being shared, syndic­ated into and read in WeChat, Slack, and What­s­App. Your products and services are being compared and purchased on your AMP pages and in third-party market­places. Even if you’re not actively enabling or encour­aging this kind of beha­viour, your audi­ences are shar­ing links, your products are being compared, and people consid­er­ing your solu­tions – or not – where you can’t easily track or influ­ence them with ads, special offers or retar­get­ing. And that’s just today’s plat­forms. The frag­ment­a­tion, volume and velo­city of these envir­on­ments contin­ues to increase. Tomor­row, there will be dozens of new places where your audi­ence are, where they choose to consider your products and services on their own terms – without them ever visit­ing your website. So if your site doesn’t offer users some­thing distinctly valu­able – enough so that they’re will­ing to visit it directly, rather than consum­ing what you offer through their preferred plat­forms – your traffic volumes are going to plum­met. They’ll engage with you on their own terms, via plat­forms which give them better exper­i­ences, and less of your pesky and distract­ing advert­ising. And this trend will continue to grow. At the extreme edge of this revolu­tion, apps like Pocket and Flip­board allow the consumer to own the entire content exper­i­ence, and to create their own tailored content plat­forms – completely bypassing not only your website but also, crit­ic­ally, any advert­ising or conver­sion nudge mech­an­ics which you might util­ise to move users through a buying cycle. You’re no longer in control, because it’s all happen­ing out there. We can’t treat these apps and plat­forms like new or addi­tional market­ing chan­nels. This revolu­tion isn’t one of new or increased numbers of media outlets where I can advert­ise at consumers, but rather, a deeper shift in how and where content (and, as part of that, advert­ising) is consumed. To compete effect­ively in this new land­scape, we need to change the way we think about the rela­tion­ship between our market­ing and our audi­ences. The object­ive can no longer be to attract consumers to your website, in the hopes of convert­ing some small percent­age of those visit­ors to sale or action. At least, not if you want to grow to reach new audi­ences, or to break free of rent­ing or paying for visit­ors from plat­forms. Instead, know­ing that purchase decisions happen in other envir­on­ments, the roles of content and brand websites need to shift away from conver­sion, and towards posit­ively influ­en­cing pref­er­ence and brand recall. Rather than my content being part of a funnel to pull visit­ors from plat­forms to my website and attempt to get them to buy, it needs to become a vehicle to grow my brand’s reach into the envir­on­ments where my audi­ences are already consum­ing content. Rather than my website being the final destin­a­tion in a purchase jour­ney, it needs to become a hub for the stor­ies I want to tell, and the values I want to show­case – feed­ing content and conver­sa­tions which are happen­ing out there, outside of my control. To a gener­a­tion of digital marketers who obsess about conver­sion rates and clicks, this might sound radical, and perhaps even danger­ously naive. But the world’s most success­ful brands have long under­stood that this model works, and have embraced this kind of think­ing for decades. Brands like Ferrari, Lego, Diageo, P&G, John­son & John­son and many others market exactly like this precisely because they under­stand that they don’t control the conver­sa­tion. Chances are, Proc­tor & Gamble manu­fac­tured most of the clean­ing and sanit­ary products in your home, and have done for decades. Their reach, scale, and years of success­ful advert­ising and market­ing have helped them to develop a deep under­stand­ing of how consumers choose products and build brand pref­er­ence. But they’re an analogue busi­ness, rooted in TV adverts and super­mar­ket shelving. So when the digital market­ing revolu­tion began, they were slow to react and adapt. On the surface, parts of their web pres­ence still look unsoph­ist­ic­ated; like they’ve just ported their analogue market­ing models to the web. Even today, very few of P&Gs many hundreds of product websites actively try to be a compet­it­ive ecom­merce destin­a­tion. But that’s not because they’re unsoph­ist­ic­ated; rather, it’s because they’re apply­ing a deep under­stand­ing of how consumers behave to their digital strategies. They know that conver­sa­tions and purchase decisions are heav­ily influ­enced and happen outside of the controlled envir­on­ment of their sites, both online and offline. In many cases, when they know that they can’t own the conver­sa­tion, it’s more sens­ible for them to try and influ­ence online than to sell online. Because if all their websites do is try to sell you clean­ing products, you’ve no reason to actively choose to visit, and no reason to stay beyond trans­act­ing. More impact­fully, none of their content organ­ic­ally permeates the plat­forms where consumers spend time – and as more and more closed-loop exper­i­ences exist entirely in plat­forms, that means miss­ing out. And whilst they could buy their way into some of those spaces, the cost of advert­ising into Face­book, Instagram and other envir­on­ments will become increas­ingly expens­ive when it’s not ampli­fied or suppor­ted by an estab­lished organic reach. So P&G’s websites, content and messaging often focus more on their ethos, values, and storytelling than they do on selling. By produ­cing content which educates, supports, inspires or other­wise helps consumers more broadly, that content is more likely to spread through­out a myriad of plat­forms and formats. It’s more likely to be read, watched, and inter­ac­ted with. Then, when the consumer encoun­ters their brand in a context or a plat­form they don’t control, they have a much higher brand recall and pref­er­ence – and that means a chance of a step towards a purchase, and a chance for a P&G product to win in the consid­er­a­tion set. That’s not to say that P&G are perfect; many parts of their busi­ness cling onto yesterday’s beha­viours despite shift­ing trends, and they’re hurt­ing because of it. But all the evid­ence suggests that they under­stand where they’ve made mistakes, and they’re making changes to enable a renewed focus on effect­ive consumer market­ing. Just because your conver­sion mech­an­ism lives online and is part of your website, that doesn’t neces­sar­ily mean that it needs to be the exclus­ive focus of your site. There’s a common assump­tion, and often a drive from senior stake­hold­ers, that brand websites must oper­ate as machines designed solely to convert visits into sales. Often, that means that any educa­tional, support­ive or brand­ing content and func­tions are percieved as distrac­tions from this focus, and a detri­ment to conver­sion rates. But conver­sion is frequently only the end of a jour­ney which contains multiple touch points – many of which aren’t on your website or in your control. If all your website does it optim­ise for conver­sion, it does so at the expense of conver­sa­tions which may have influ­enced future purchase decisions. You’re optim­ising inwards, rather than outwards. Our obses­sion with the final stage of the buying cycle means we often omit or over­look crit­ical earlier phases, where consumers are build­ing consid­er­a­tion sets, ruling brands in or out, and form­ing opin­ions and pref­er­ences. I’ve talked previ­ously about how the exper­i­ences that consumers have early in their research processes influ­ence what happens later; determ­in­ing which brands make it to the final consid­er­a­tion phases. I described a personal exper­i­ence, which star­ted with a Google search for “fuzzy sound on tv”, in an attempt to self-diagnose a fault with a tele­vi­sion. Six months later, that jour­ney led to a purchase – informed by multiple searches, conver­sa­tions, research phases, and brand inter­ac­tions. I noted that, in many of the early stages of my research, big brands were note­ably absent from search results and social media. They missed an oppor­tun­ity to build brand recall and pref­er­ence. In some cases, they ruled them­selves entirely out of the buying cycle, where they failed to address repu­ta­tion issues, or failed to provide content which answered my ques­tions as a poten­tial buyer. If those brands had focused less on the end of the conver­sion jour­ney, and spent more time prov­ing that they’re reput­able and a good fit earlier on, my consid­er­a­tion set might have looked very differ­ent. And in this new revolu­tion, not only will those exper­i­ences happen completely outside of the control of those brands (on Ebay, Amazon, Fahttps://theinbounder.com/blog/digital-marketing-is-dead-survival-tips-for-what-comes-next-part-1/cebook and What­s­App), but they’ll be eclipsed by the conver­sa­tions which do happen in those envir­on­ments. The product research jour­ney which might once have lead me to an ecom­merce website, a blog post, or even an offline store visit is less likely to happen. More and more of my research and decision-making process is unfold­ing within plat­forms, and my purchase decisions will be influ­enced by the content I consume there. I’ll engage with the brands who’re present in my streams – those who provide useful, support­ive content – and buy from them, when I’m ready, without ever leav­ing that envir­on­ment. To compete for attenton and busi­ness, brands must consider the role their website and their content plays in help­ing audi­ences who aren’t yet at the point of conver­sion. They’ll either need to provide increas­ingly compel­ling reas­ons for people to visit and engage with their websites directly, or they’ll need to completely embrace a distrib­uted content model – and accept that they’re tethered to advert­ising and syndic­at­ing content within plat­forms, rather than on their own websites. This exclus­ive focus on conver­sions, some­times at the expense of build­ing brand trust and famili­ar­ity, is largely driven by how easily meas­ur­able and attrib­ut­able digital chan­nels can be. It’s easy to manage a busi­ness when you can spend money to drive visits, and you can meas­ure and fore­cast the commer­cial outcomes of those visits. But that meas­ur­ab­il­ity only exists at the end of the funnel, when – or if – the visitor has arrived at your website, or engaged with your ads. That limits the kind of market­ing and advert­ising that you can do, and optim­ises for attract­ing visits from people who are already ready to buy. It actively optim­ises away from people who aren’t ready yet. Consider that, as more exper­i­ences occur on plat­forms and are frag­men­ted across many envir­on­ments, fewer and fewer people will want or need to visit your website. That’ll make it harder to directly meas­ure and report on their beha­viour. The people who reach your meas­ur­able plat­forms will be a minor­ity in your poten­tial market; traffic you’ve bought or rented from plat­forms, or those who’ve come direct due to brand recall and pref­er­ence. Crit­ic­ally, you won’t be able to meas­ure the people you aren’t reach­ing – the people who never entered the buying cycle, never searched on Google, and never viewed your display adverts. These are the people who are happily consum­ing content and making purchase decisions from within their plat­forms of choice. They’ll never hit your radar. To reach them, you’ll need to sacri­fice owner­ship of the jour­ney, and to shift your focus from conver­sion to rela­tion­ship. You’ll need to change the object­ives of your market­ing and advert­ising from enti­cing clicks back to your website, to enga­ging, convers­ing with and convert­ing audi­ences in situ. Frequently, that’ll be a very differ­ent type of messaging and content than we’re used to produ­cing. Conven­tional busi­ness logic suggests that you shouldn’t build value on rented plat­forms – there’s always a risk that external factors can destroy your found­a­tions. But what happens when there are only rented plat­forms, and they’re tran­si­ent, temporal things? Where do you build your equity? The answer is simple – you build it in your consumers minds. You think outwards, not inwards, and you invest in provid­ing distrib­uted content and exper­i­ences which posit­ively influ­ence the market­place. You stop obsess­ing about how big you can build your medi­eval castle of a website, and you go out and spend time in the fields, with the peas­ants.